The island is 2.3 km in circumference at the high tide line with a fringing coral reef 4 km long. The island is flat sand with a maximum elevation of less than 2m above the HT line. The reef flat is only 50-75m wide to the west and several hundred metres wide around most of the island. The island has a white sand coral beach and is a significant nesting location site for Green and Hawksbill turtles. The island has no village, minimal human impact, no pollution and is one of the popular dive destinations in the Semporna district. There are six islands to the North-east of Semporna which are outside the Tun Sakaran Marine Park. 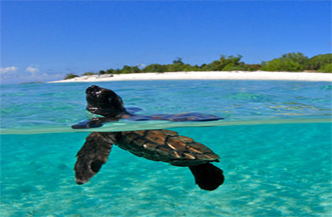 The islands are linked by the presence of turtle nesting. The islands are mostly separated by deep water and all are surrounded by a fringing coral reef with minimal lagoon development. There are coastal stilt villages on Kalapuan and Bohayan islands, while the other islands have fewer inhabitants. There are operational resorts on Pom Pom Island, Mataking and Kalapuan, while resorts are planned for Timba Timba and Pandanan islands. The island is being eroded from the NE side and in an effort to stabilise the shoreline the Pom Pom Island Resort has built a long sea wall at the high tide line. Both Pom Pom and Mataking islands featured in the Swedish version (second edition 1998) of Expedition Robinson, or Survivor as it is referred to in some countries. Pom Pom island is an important nesting and feeding site for Green and Hawksbill turtles. All the 6 NE Semporna Islands are nesting beaches and many of the stakeholders in the area are working towards protecting the turtles and reef environments. The Green turtle nests all year round but peak nesting is May to September. The Hawksbill nests in small numbers. Both turtles are present on the reef throughout the year with an average of 7 green turtles seen per hour on a dive or snorkell. The hawksbill is both less common and more territorial with the same individuals being regularly seen at Lobster wall, the North tip and Magic rocks. 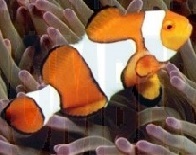 The reef is on the edge of the continental shelf and the seabed surrounding the reef slopes out to 100 to 130 m deep. There are deep - near vertical - walls starting at 27-30m deep located at the Northern tip, Eastern plateau and lobster wall. Depending on tide the current at these locations can be strong giving excellent drift dives with many seafans and pelagic fish. There are two dive resorts and a marine conservation project on Pom Pom island. The island lies below the monsoon belt and gets good weather all year, there are occasional short squalls during thunderstorms but these rarely last more than an hour. 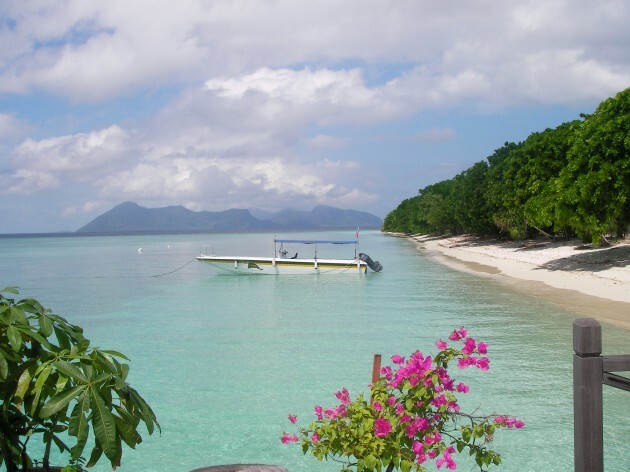 The two resorts provide a variety of PADI courses, dives & accommodation for recreational scuba divers. Tourists who want to spend longer exploring the nearby islands, the resort have recently introduced a trek at Bohaydulong Island, where you can climb up to 366 metre view point over the other islands. After that, you can then a visit the Marine Park Research centre into Giant Clams. They take their morning break, then the guests of the resort can enjoy snorkelling within the lagoon. They can take a picnic lunch which they can enjoy either at Bohaydulong or Mantabuan Island on the beach depending on tides times. After that they continue snorkelling around the beautiful corals gardens within the Marine Park then returning home to Pom Pom later in the afternoon. For those who want relax at the reosrt, there is a pool table, board games, and our bar area with seating area. There is no public transport to the island, the resorts carry their own guests and TRACC arranges transport for its own students and volunteers. There are occasional day trips from dive centres in Semporna. The boat trip takes 35�60 minutes using the resort boats. Set on the north east of Sabah, Pom Pom Island Resort boasts traditional wooden villas and a private beach. It features a restaurant, a bar and a lounge. Guests enjoy free scheduled airport transfers. Decorated with wooden furnishings, every villa is air-conditioned and features a seating area. It includes a private balcony with beach or garden view. The private bathroom comes with a shower and toiletries. The restaurant opens all day and serves Asian as well as International cuisines. Vegetarian options are available at an extra charge. Cocktails and drinks can be enjoyed at the bar or the lounge. For your comfort, all day free coffee, tea and juices are offered in the restaurant. Yin & Yang Spa offers volcanic stone massage, traditional Shiatsu and aromatherapy body treatments. There is also a tour desk on site where staff are happy to help you arrange outdoor trips, diving and snorkelling at an additional charge. 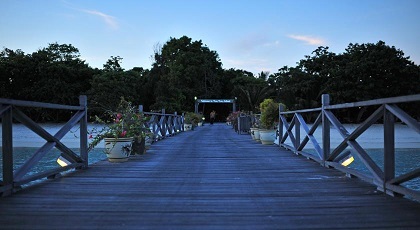 Pom Pom Island Resort is accessible via a 45-minute boat ride from Semporna Jetty and the nearest airport is Tawau Airport, a 90-minute drive away from Sempornna Jetty.